Moving into a new home can come with plenty of firsts, whether you are a first time homeowner, your first time renovating a property, or just your first time in a new neighborhood. 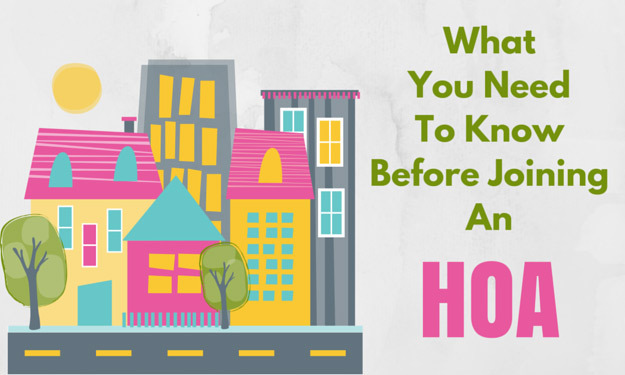 If an upcoming move means you’ll be a member of a Homeowners Association (HOA) for the first time, you are not alone. Across America, HOA memberships are on the rise. An estimated 66.7 million Americans—20.7 percent of the U.S. population in 2014—lived in common-interest communities, including homeowners associations, condominium communities, and cooperatives. The number of community associations in the United States grew from 10,000 in 1970 to 222,500 in 2000 to 333,600 in 2014. Today, being part of an HOA is becoming the norm. Still, for those unfamiliar with HOAs and how they work, there can be a lot of questions. There is also great variation from one HOA to the next, so it’s always a good idea to find out answers to those questions ahead of time. As someone who provides HOA management services for communities in Memphis, Tennessee, I’ve learned a few things about what to look for when joining an HOA. For those who have never been a part of an HOA before, you may have only heard the negative (like this story that’s made national news recently) and not necessarily the positive. Before we get into what questions you should ask when considering buying a property in an HOA community, let’s take a quick look at the benefits of being a member of an HOA. Preserve the Appearance and Value of the Community – HOAs have regulations in place to keep up the appearance of the community. This helps your neighborhood to look good and prevents property values from dropping. Reduce Maintenance Work for Homeowners – HOAs are typically responsible for maintaining common areas of the community. Depending on the community, they may also be responsible for lawn care or snow removal. Provide a Place for Homeowners to Solve Problems – If you have a dispute with a neighbor or issues with the community, the HOA can provide a place and a means to resolve it. That can be a valuable benefit. Allow for Additional Community Amenities – Some communities offer amenities like pools, clubhouses or playgrounds that are maintained and paid for by the HOA. Create a Sense of Togetherness and Community – HOAs bring people together to meet and discuss the community. That helps give everyone a feeling that they are part of a larger whole, and builds fellowship and friendships. While HOAs can be beneficial to you and your community, you still want to know what you’re getting into—and how your HOA will affect your plans and your everyday life. 1. What are the HOA rules—and can you live with them? Make sure you find out all the rules and regulations the HOA has in place to determine if some can have a big impact on your life. These are all things that may impact how you live and what you want to do with your home, or limit your future options. Make sure you know what you’re agreeing to when you join the HOA. 2. What will your HOA fees cover? You are going to be paying money to your HOA. So what does it go toward? Make sure you find out where your dollars are going. Of course, this varies greatly from community to community—and whether you’re living in a townhouse, condo, or single family home. 3. How much are HOA fees—and how often do they typically increase? The financial health of the HOA is hugely important—and often overlooked. Are they regularly running out of money? When you look at HOA spending records, are you seeing a lot of peaks and valleys as opposed to consistent spending? These are some red flags. The second part of the question above is just as important as the first because HOA fees can go up. So even if they are at a reasonable level now, it’s insightful to know if they’ve gone up by, say, 50% in the past three years. Can you get a record of special assessments that have been made in the past and any special assessments planned for the near future? Many of the gripes homeowners (in particular condo owners) tend to have with HOAs are tied to fee increases and special assessments. 4. How functional (or dysfunctional) is the HOA? HOAs have their pros and cons. An HOA can be a great benefit to the community in the ways described above. It can be something that brings people together and creates a structure where neighbors are actively working together. On the flip side of that coin, a dysfunctional HOA can be a source of consistent drama and headaches. It can lead to neighbors turning against each other and even lawsuits. Before you join an HOA, look into how it’s managed. Is it run by people in the community or a property management company? You might even want to dig a little deeper by talking to some neighbors or looking at past meeting minutes to get the real story. Most complaints about HOAs come from lack of awareness or unrealistic expectations. Homeowners don’t do their research and then they’re surprised to find the HOA has certain rules in place. Or they expect the HOA to do more than it actually does. Prevent this problem by taking the time to get a complete picture of the HOA. A little time and work on your part means that you’ll join your first homeowners association ready to maximize all the many benefits of being an HOA member! Have your HOA experiences been largely positive or negative? What are some of the key benefits and challenges of being an HOA member? Share your thoughts by commenting below.